If you know me, you will know the struggle I have had with my hair. My natural hair is thin, short and just does not grow past a certain point. This is partly due to genetics and partly due to the fact I hated my naturally curly hair when I was younger and straightened the life out of it! I started to wear clip in extensions when I first left school nearly four years ago. They damaged my hair a lot and they were SO uncomfortable. I then tried glue-in extensions, which again, ruined my hair and I would not recommend to anyone. My hair was even worse than it had started even though I was told the extensions would help it to grow. They were also very expensive and extremely painful to be removed. I have finally found the perfect hairdresser to do my hair, she has restored my natural hair to a good condition and made me love it again. I now have a "micro-weft" which consists of micro-beads holding the wefts in place, they are so much better on the hair and you get a lot of thickness with them too. I have them tightened every 3 weeks and replaced every 5 months, which is quick and not painful at all. I literally can't tell you how happy I am to have finally found a technique that makes me feel comfortable with my hair and helps it to grow. I am never going to be one of those people with super thick, long hair but that's okay. I hate having un-styled hair, and I tend to use heat on my hair every morning. Whether it's my curling wand or my GHDs, both do damage to the extensions. 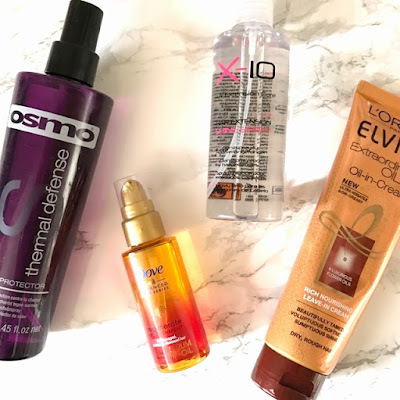 I've been trying so many different products to try to limit the amount of damage heat causes, and keep my hair looking smooth and shiny. 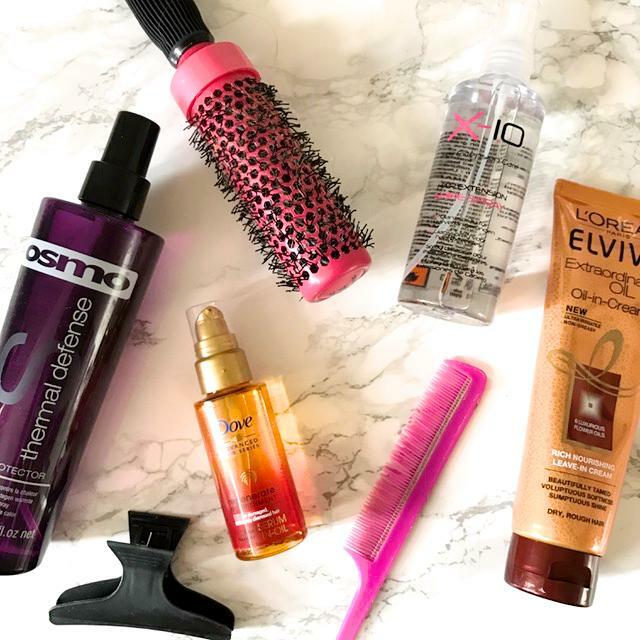 Heat protection is SO important for hair, it helps to protect it and stop it from being frazzled from high heats (GHDs i'm looking at you!). I picked up this OSMO protection spray from Salon Services, but you can use any brand, i'm sure they are all very similar. 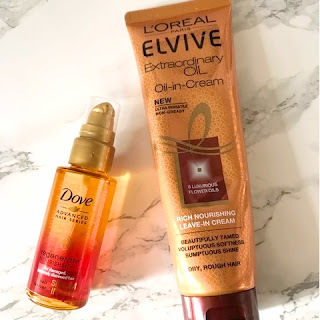 I hope this post has been helpful and you can now enjoy super soft and shiny hair! 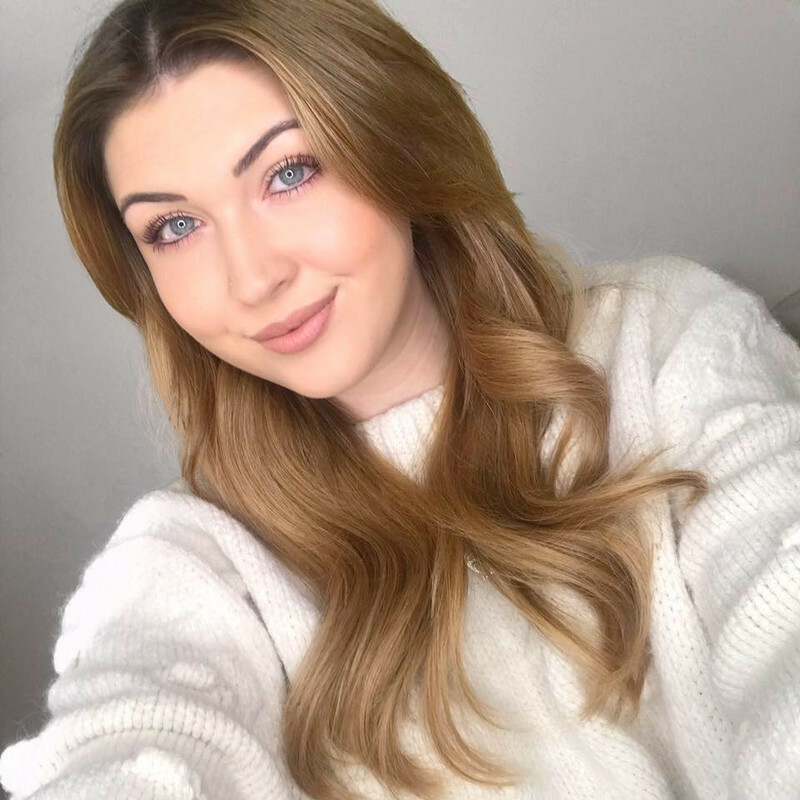 If you would like to know anything else about extensions, please leave a comment below! I am going to try some of these products, Becci, as my own hair is really dry and needs a lot of TLC. Yours always looks fab-thanks for the tips! Ooh I'm intrigured by the shine spray! I've never used one but am quite keen to give it a go. Thanks hun! !